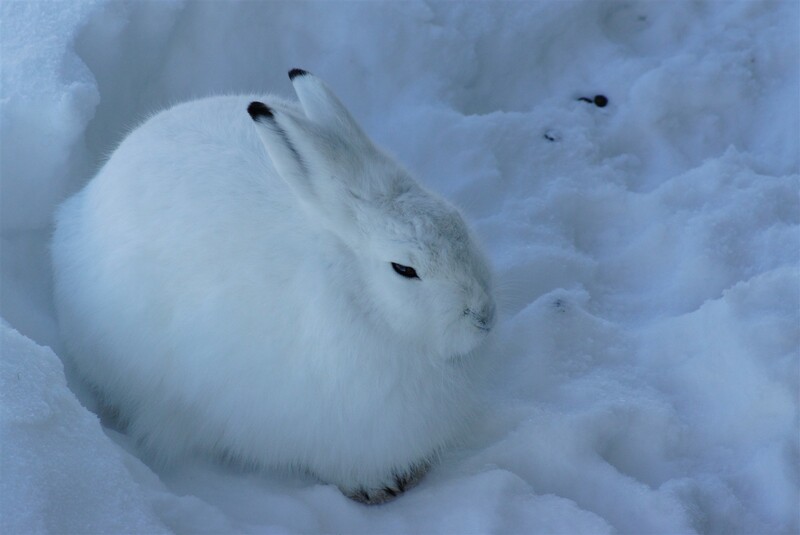 The arctic hare is native to the harsh climatic conditions of North American Tundra. The hares instead of hibernating, survive the cold conditions by physiological, as well as behavioral adaptations. 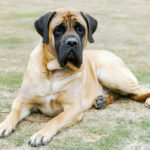 They have a thick fur and occupy a low surface to volume ratio to prevent heat escape. The small ears testify to this feature. The hares dig shelters in the snow and usually huddle in groups for added warmth. They belong to the mammalia class, Lagomorpha order, Leporidae family and Lepus genus. 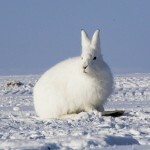 The arctic hare is also called as polar rabbit. It has splendid adaptations that enable it to survive the cold arctic climate. The thick coat gives warmth and the hares dig holes for their shelter. They are big in size when compared to other hares and also mature quickly. Hares are larger than rabbits with longer ears and tall hind legs. They can bound at great speeds up to 60 km per hour. During winter their coat is white in color to blend with the snow and ice, while in spring the color changes to blue gray that goes well with the surrounding vegetation and rock color. 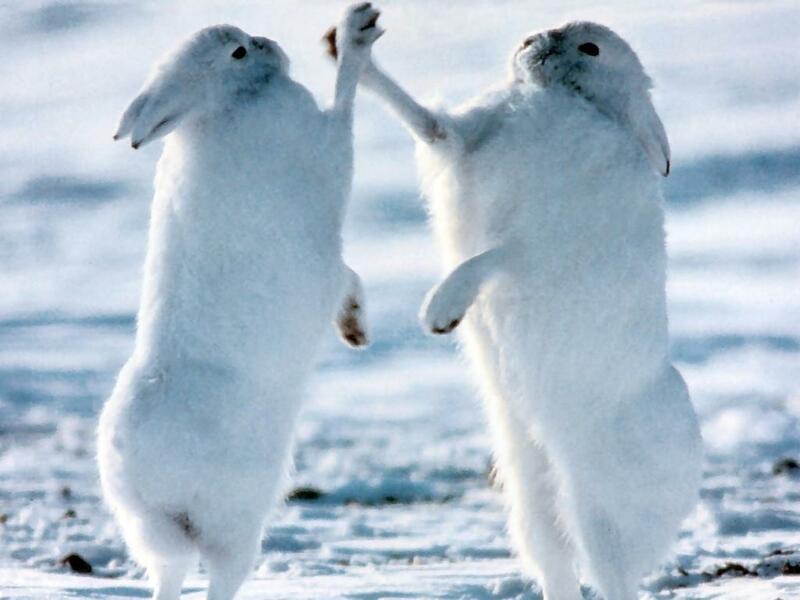 The feet are larger than the legs to help the hares run on the snow, instead of sinking in. The color change enables them to catch their prey and also hide from predators. 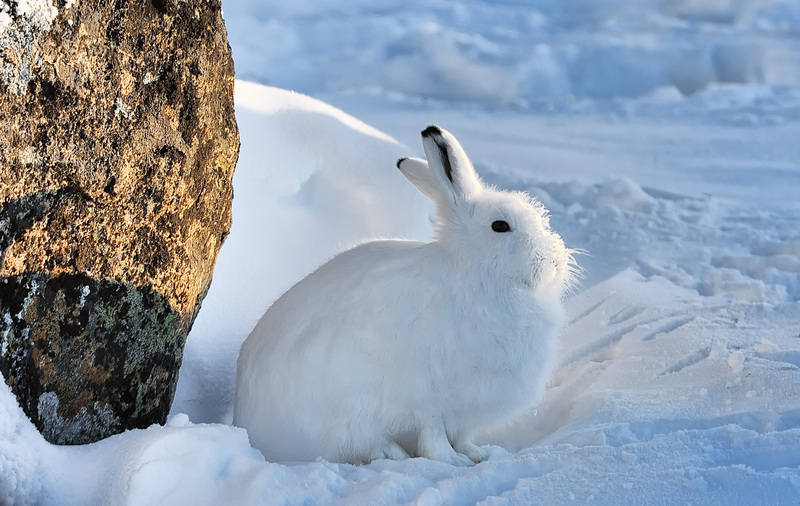 The average weight of arctic hare is 10 to 12 pounds and the length is 22 inches long. Though the tail is present it is so small that it cannot be seen. The size varies based on the food supply and the area they are residing in. 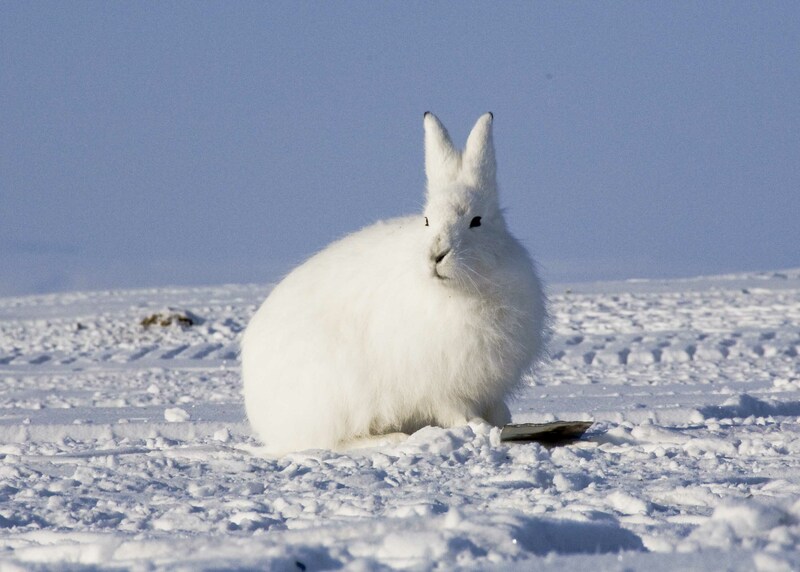 The arctic hares have good eyesight. Though they are loners they can also be found in groups of dozens or thousands too. During the mating season they disperse than get together for mating. The animals pair, while the mating territories are predetermined by them. A male can take many female partners. 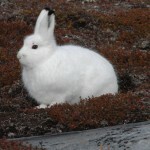 The mating of the arctic hares gives rise to one litter in a year, which happens in the early part of summer or during spring. The litter has two to eight young ones, which grow fast and in September they mature and are ready for breeding the next year. The female usually builds the nest, which is a depression in the ground that is hidden by rocks or a bush. The depression is lined with grass and fur. The babies lie still to escape from predators like wolf lynx and arctic fox. 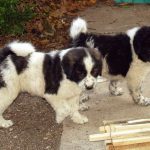 The babies leave the nest after two or three weeks and the weaning takes place in eight to nine weeks. The nursing is done when about 20 hares gather and nurse at the same time. 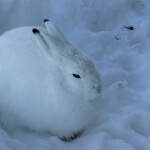 The arctic hares are herbivores and their favorite food is grass but they feed on willows and flowers too. 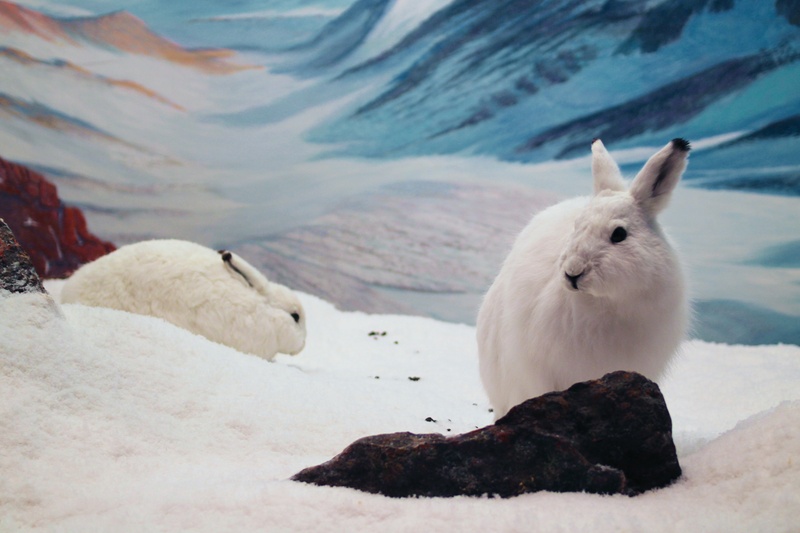 Though food availability is limited in the arctic region the arctic hares eat the mosses, lichens and wooden plants, which they find by digging through the snow. During other seasons, buds, leaves, roots and berries form their staple diet. The strong senses of smell they have make them dig for their food in the snow. The paws are used to pick food and sometimes they use their mouth alone to eat the food. 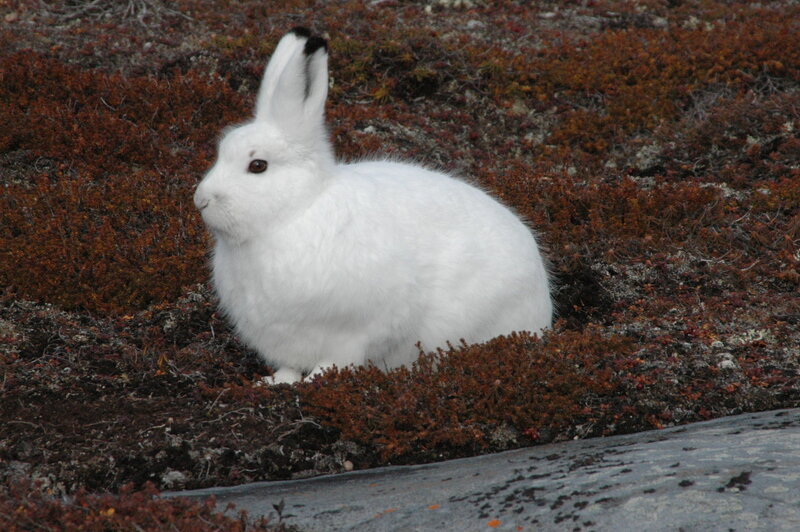 Arctic hares usually inhabit areas that do not have many predators. 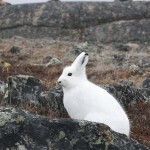 Regions like Alaska, Canada and Greenland are the usual places for the arctic hares. 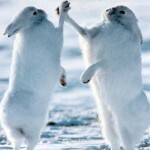 The hares depend on their ability to burrow under the snow to escape from the predators. 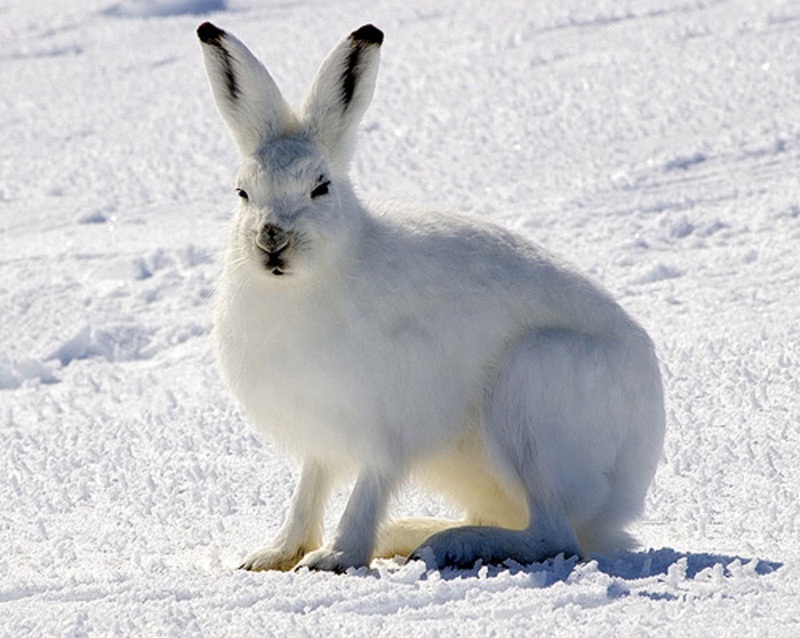 Snowy owl, wolf and fox are the predators that prey on the arctic hares. While they mate, arctic hares spread more than under normal conditions, Once they find a mate, they from a location for their mating. Males end up mating more than one female. Mating occurs in the month of May or April. 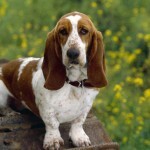 The young are born in spring and are covered with fur to protect the body. The young ones stay with the mother only for the first couple of weeks after their birth. Then they are left on their own to survive the conditions. 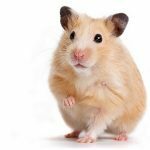 The average lifespan is three to five years. 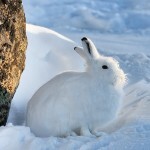 The arctic hares generally live in groups or herd only. The groups have about 200 individual hares. 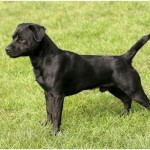 They work in close proximity and ensure their survival in the cold climatic conditions. The hares huddle together in dens dug by them in the snow to conserve the heat and keep them warm. The long claws help in digging for food and finding the den, and the flat feet enable them to walk on the snow instead of sinking in. 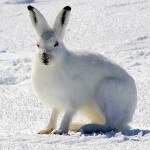 The arctic hares are seen in the arctic circle in the Northern hemisphere, especially in Europe, Greenland, North Pole and Northern America. They inhabit mostly the tundras and the rocky areas. The thick fur enables them to live in extreme cold conditions and also helps them to camouflage to escape from predators. They form an important part of the Arctic Circle food chain, as they are the only smaller mammals that can survive in the harsh arctic conditions. They fall prey to wolves, polar bears and foxes. It requires locations that have sufficient cover for the plants to grow and prevent the snow from going too deep. 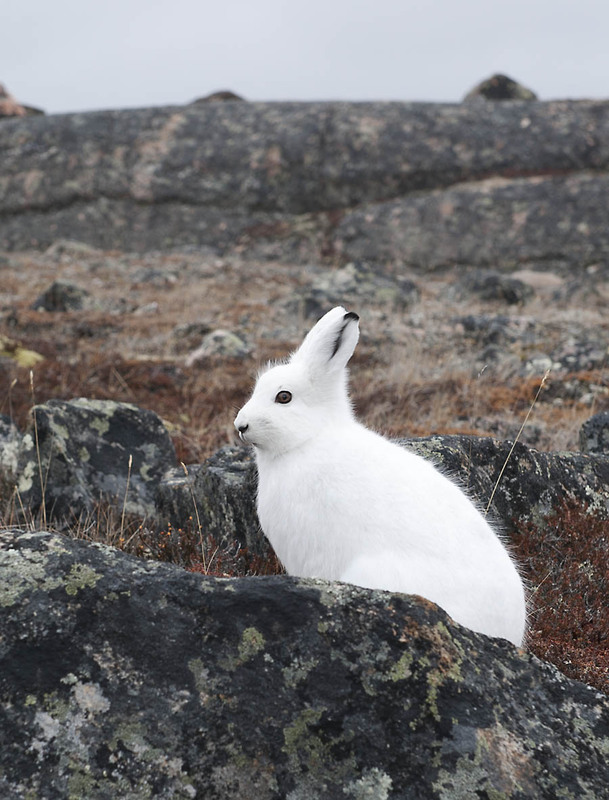 Mostly the arctic hares lead a solitary life. But they are also seen in groups. This is because they need the warmth of the closely huddled bodies. The social nature is prominent when they need to survive the cold. But on any other level their social behavior is not good. 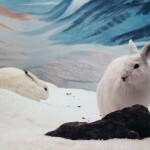 When threatened the arctic hare can run at fast speeds. When a hare is threatened it will stand on the hind legs and take off at rapid speeds. The movement of the hare is similar to the Kangaroo. It hops off its hind legs. They are nocturnal animals and during feeding they gather in groups of ten to sixty. In the most extreme climatic conditions of the northern parts they are seen in groups of 300 too.